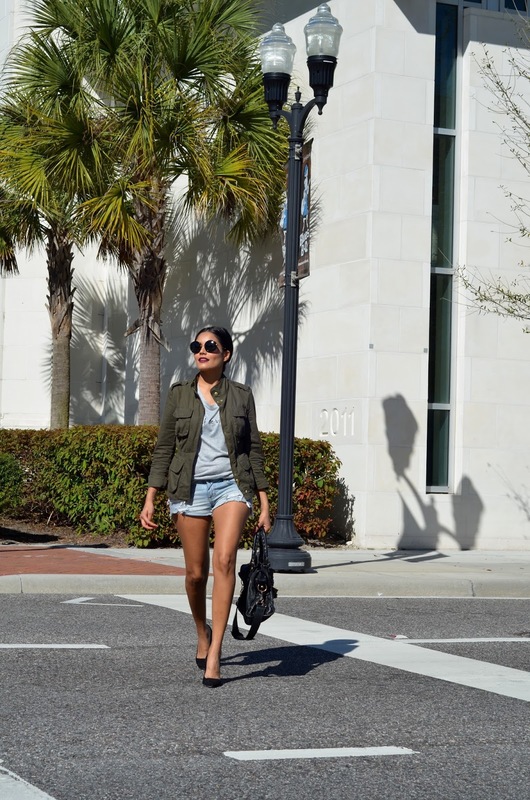 Bonjour my Beauties, it's officially in the 30 degrees celsius in Orlando so slowly saying good bye to my boots & warm jackets. I will miss the cold that's for sure. 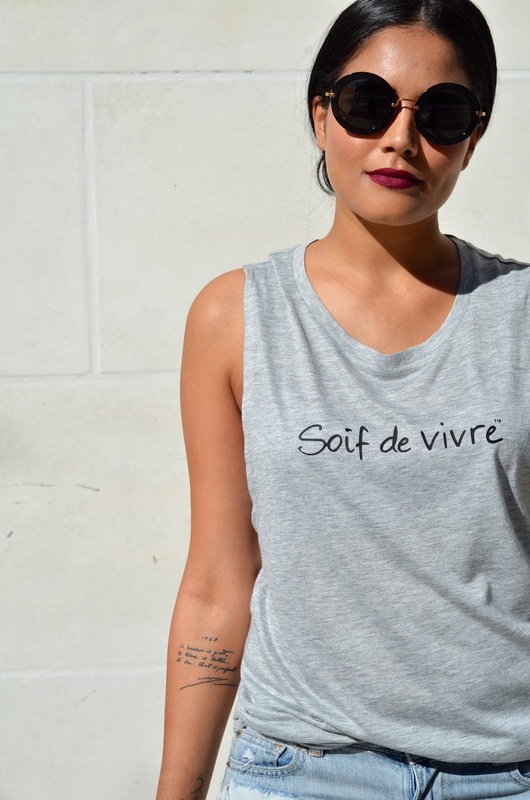 So I put together this chic yet comfortable outfit featuring this muscle tank top from Le Motto, the message is written in French and it says "thirst for life"